I write to thank each of you for the courtesy, hospitality, and concerned hearing you gave yesterday to my colleagues from Lowell, Lynn Costello and Christin Shelton. Lynn Costello is a resident in Lowell public housing and she spoke from personal observation about the impact of bullying that exacerbates pre-existing mental health conditions, and can create new conditions. 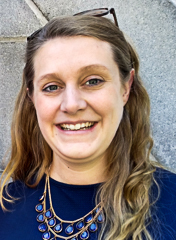 Christin Shelton, LICSW, is the Lowell Clinic Director at South Bay Community Services. 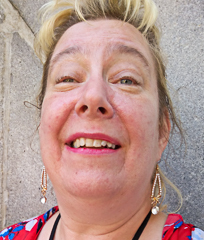 She and her colleagues are all too familiar with the issues that arise in housing, where people with a variety of challenges and disabilities live together, but without the guidance and support that might enable them to live in harmony. In Senator Lovely's office, arrangements were made by Micaela Maloof, and we met at length with Chief of Staff Johanna Wakelin and Legislative Aide Mark Sternman. Senator Joan Lovely has been our legislative partner from the earliest days of our advocacy and continues as she works with her colleagues on Beacon Hill to consider how best to craft an appropriate and effective legislative remedy to our concerns about the pervasive issue of bullying and harassment in public and subsidized housing. Johanna Wakelin has represented Senator Lovely in observing the work of the Committee on Bullying. We were courteously received by Representative David Nangle (17th Middlesex, covering Lynn Costello's home), Communications Director Thomas M. D'Amario, and Legislative Director Colin McDonald. We were encouraged that Rep Nangle and his staff were sensitive to our concerns and were prepared to contribute to the task of crafting appropriate legislation. 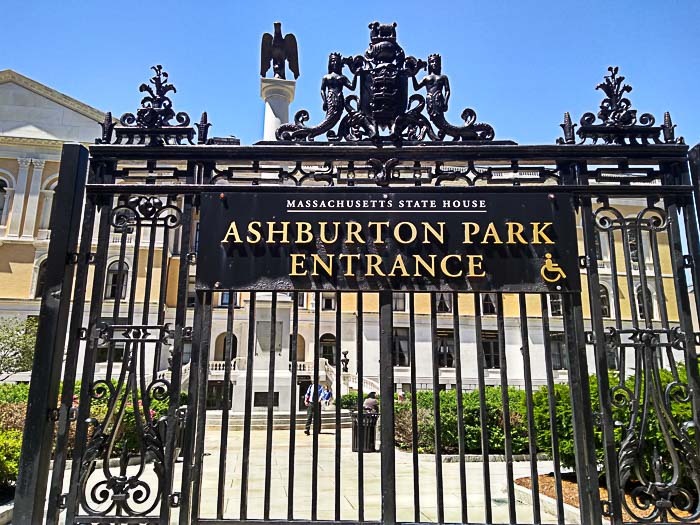 We were able to briefly touch base with the office of Representative Thomas Walsh of Peabody, and spoke with Legislative Aide Andrew Arnotis. Representative Walsh is already engaged in considering how best to craft a legislative response. Although Representative Brad Hill was unable to meet with us, he assured me of his continuing interest in and support of our work on the issue. Representative Hill has been instrumental in helping to create the legislative Commission on Bullying and has been most helpful in providing guidance on the complex legislative process. For me and for the Stop Bullying Coalition, this was an important step in our efforts to advocate, educate, and to learn, and expand our partnerships on Beacon Hill. We are encouraged to continue our outreach into our communities, to reach out to our professional and personal networks, to find ways to influence and work with civic leaders and landlords/local housing authorities, and in many ways to be active citizens. As Christin and Lynn parted from me at the end of our visit to the State House, they expressed their delight at meeting each of you, at having been heard, and of being made to feel that each of you works to do the people's business and that the State House is indeed the house of the people. And they wanted to know, "When can we do this again?" *Do you want to have the satisfaction and joy of making a difference, just like Christin and Lynn? We'll empower you. Where you live. In your community. And at the State House. Tell us what you need and what you can do. We're waiting to hear from you: You are part of the solution. Write us now! 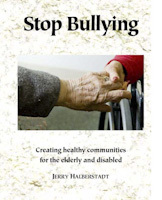 We engage in advocacy to protect the elderly and the disabled tenants of public and subsidized housing from bullying. As the legislature winds up their session, we look back at our work together. In addition to our many tenant supporters and affiliated advocacy organizations, we are proud of our partnerships with many legislators on Beacon Hill. Legislators from the North Shore and throughout the Commonwealth, including Senator Joan Lovely, Representative Thomas Walsh, and Representative Theodore Speliotis, as well as Representative Bradford Hill have been actively supportive and have helped to guide and lead our legislation leading to the Commission on Bullying. That legislation had strong support from several sponsors and was passed without objection. Representative Alan Silvia is one of several who have come forward and joined the effort to provide protections from bullying, and Silvia had filed a bill in the legislative session which has just ended. Whenever we have a chance to tell our story and explain the problem to a legislator, we have won a new supporter. Representative Hill and Representative Honan, Chair of the Housing Committee, worked together with the Joint Committee of Housing and Halberstadt to develop the bill to establish the Commission on Bullying, and which did groundbreaking research and analysis. Lovely, Hill, and all our legislative partners have been there for us as to guide and mentor whenever we ran into roadblocks during the Commission process. Our experience has renewed our faith in the importance of citizen initiative and participation in government. We look forward to filing new legislation in the coming session by working closely with and supporting our legislative sponsors, leading to the passage of effective protections for individual victims and accountability for errant landlords. Every one of you who takes even a small part in this work is important. We have accomplished much by working together.Together we are strong. This is democracy. This is what we do.